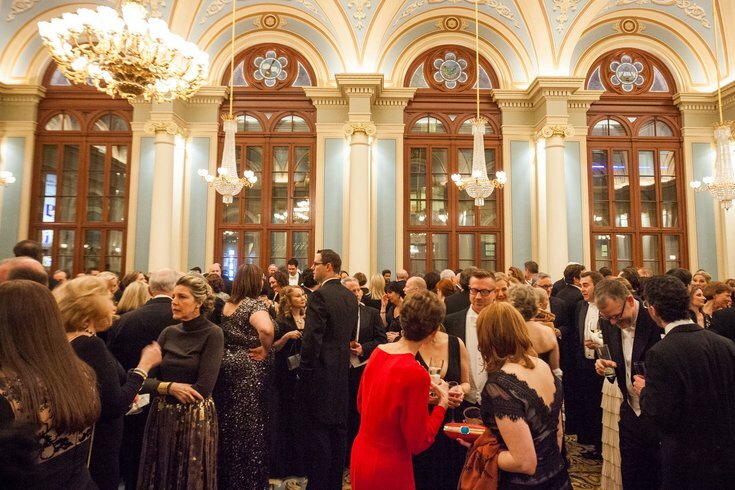 The Chairman's Pre-Concert Reception at the 158th Academy of Music Anniversary Concert and Ball in January 2015. The snow has claimed another victim: the venerable Academy Ball. In a late afternoon statement, the Academy of Music Board of Trustees said it regretted to have to cancel this year's 159th Anniversary Concert and Ball fundraiser planned for Saturday night. The first-ever cancellation came out of concern for the safety of its patrons, it said, when the storm forecast led to blizzard warnings across the region. The organization is arranging to donate surplus food from the event to local food banks and shelters. The annual winter event – which would have featured guest entertainer Martin Short this year – is the biggest fundraiser of the year for the Academy of Music, supporting the preservation of the Avenue of the Arts building, which is on the National Historic Register. Some call it the "Philly party of the year." 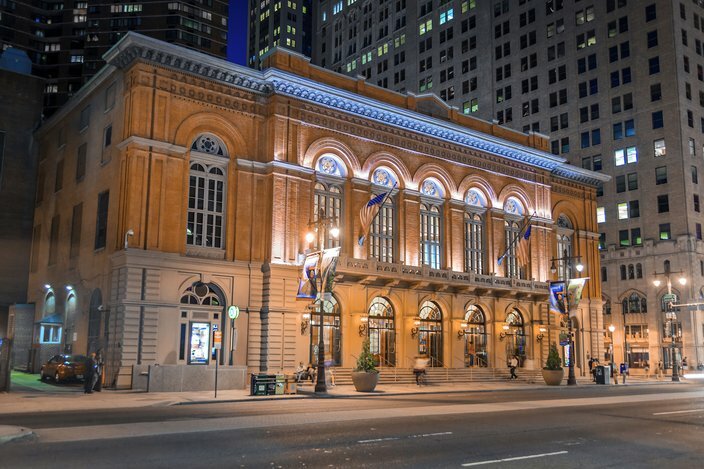 Modeled after Milan’s La Scala opera house, Philadelphia’s 1865 Academy of Music is a performing and architectural landmark on the Avenue of the Arts. The concert was to feature the Philadelphia Orchestra conducted by Yannick Nézet-Séguin. "We are deeply grateful for our many generous underwriters and individual contributors that have helped lay the groundwork for what has been a very successful fundraiser," the Academy's statement said. The organization is asking for all patron support "to remain in place by contributing their tickets to the Academy of Music for a 100 percent tax deductible donation." Patrons with questions should please call the AOM office at 215-893-1978. Concert-only patrons should call Ticket Philadelphia at 215-893-1999 to make arrangements.